In my opinion, it’s critically important to verify your website in Google Search Console (GSC). By doing so, you can receive information directly from Google as it crawls and indexes your website. There are many reports in GWT that can help identify various problems SEO-wise. For example, you can check the crawl errors report to surface problems Googlebot is encountering while crawling your site. You can check the HTML improvements section to view problems with titles, descriptions, and other metadata. 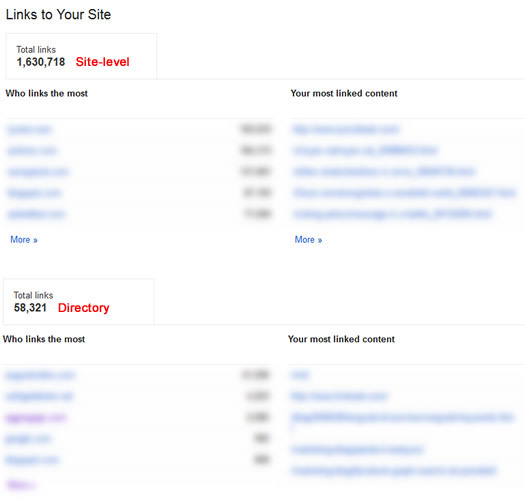 You can view your inbound links as picked up by Google (more on that soon). You can check xml sitemaps reporting to view warnings, errors, and the indexed to submitted ratio. You can view indexation by directory via Index Status (forget about a site command, index status enables you to view your true indexation number). In addition to the reporting you receive in GWT, Google will communicate with webmasters via “Site Messages”. Google will send messages when it experiences problems crawling a website, when it picks up errors or other issues, and of course, if you’ve received a manual action (penalty). That’s right, Google will tell you when your site has been penalized. It’s just another important reason to verify your website in GWT. And let’s not forget about links. Using Google Search Console, you can view and download the inbound links leading to your site (as picked up by Google). And in a world filled with Penguins, manual actions, and potential negative SEO, it’s extremely important to view your inbound links, and often. Sure, there’s a limit of ~100K links that you can download from GWT, which can be limiting for larger and more popular sites, but I’ll cover an important workaround soon. And that workaround doesn’t just apply to links. It applies to a number of other reports too. When helping larger websites with SEO, it’s not long before you run into the dreaded limit problem with Google Search Console. The most obvious limit is with inbound links. Unfortunately, there’s a limit of ~100K links that you can download from GWT. For most sites, that’s not a problem. But for larger sites, that can be extremely limiting. For example, I’m helping one site now with 9M inbound links. Trying to hunt down link problems at the site-level is nearly impossible via GWT with a link profile that large. When you run into this problem, third party tools can come in very handy, like Majestic SEO, ahrefs, and Open Site Explorer. And you should also download your links from Bing Webmaster Tools, which is another great resource SEO-wise. But when you are dealing with a Google problem, it’s optimal to have link data directly from Google itself. So, how do you overcome the link limit problem in GWT? Well, there’s a workaround that I’m finding many webmasters either don’t know about or haven’t implemented yet – verification by directory. If you’ve been following along, then you can probably see some issues with GWT for larger, complex sites. On the one hand, you can get some incredible data directly from Google. But on the other hand, larger sites inherently have many directories, pages, and links to deal with, which can make your job analyzing that data harder to complete. This is why I often recommend verifying by directory for clients with larger and more complex websites. It’s a great way to dig deep into specific areas of a website. 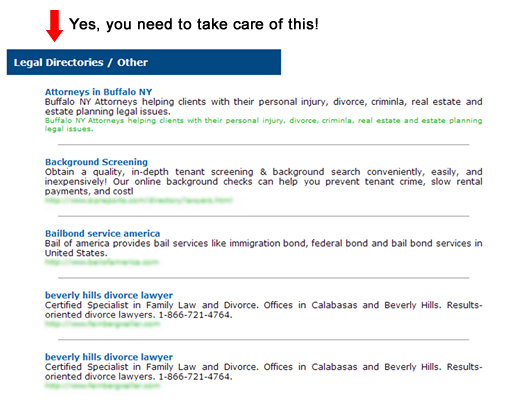 As mentioned earlier, I’ve found that many business owners don’t even know you can verify by directory! Yes, you can, and I recommend doing that today (even if you have a smaller site, but have distinct directories of content you monitor). For example, if you have a blog, you can verify the blog subdirectory in addition to your entire site. Then you can view reporting that’s focused on the blog (versus muddying up the reporting with data from outside the blog). And again, if you are dealing with an inbound links problem, then isolating specific directories is a fantastic way to proceed to get granular links data. There’s a good chance the granular reporting by directory could surface new unnatural links that you didn’t find via the site-level reporting in GWT. The good news is that verifying your directories will only take a few minutes. Then you’ll just need to wait for the reporting to populate. Which Reports Are Available For Directories? I’m sure you are wondering which reports can be viewed by subdirectory. Well, many are available by directory, but not all. Below, you can view the reports in GWT that provide granular data by directory. Let’s say you’re having a problem with indexation. Maybe Google has only indexed 60% of your total pages for some reason. Checking the Index Status report is great, but doesn’t give you the information you need to isolate the problem. For example, you want to try and hunt down the specific areas of the site that aren’t indexed as heavily as others. If you verify your subdirectories in GWT, then you can quickly check the Index Status report to view indexation by directory. Based on what you find, you might dig deeper to see what’s going on in specific areas of your website. For example, running crawls of that subdirectory via several tools could help uncover potential problems. Are there roadblocks you are throwing up for Googlebot, are you mistakenly using the meta robots tag in that directory, is the directory blocked by robots.txt, is your internal linking weaker in that area, etc? Viewing indexation by directory is a logical first step to diagnosing a problem. Google Search Console provides search queries (keywords) that have returned pages on your website (over the past 90 days). Now that we live in a “not provided” world, the search queries reporting is important to analyze and export on a regular basis. You can view impressions, clicks, CTR, and average position for each query in the report. But checking search queries at the site level can be a daunting task in Google Search Console. What if you wanted to view the search query data for a specific section instead? If you verify by directory, then all of the search query data will be limited to that directory. 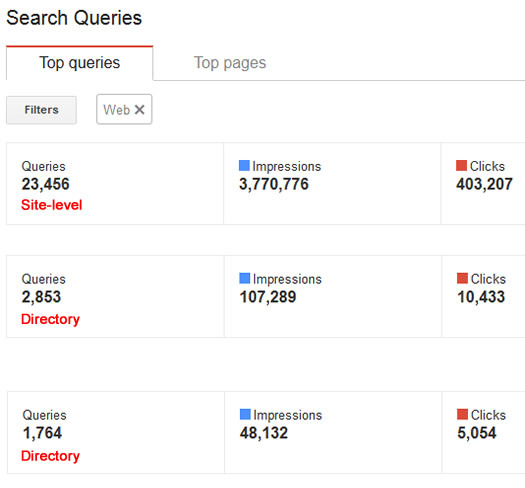 That includes impressions, clicks, CTR, and average position for queries leading to content in that directory only. I started explaining more about this earlier, and it’s an extremely important example. When you have a manual action for unnatural links, you definitely want to see what Google is seeing. For sites with large link profiles, GWT is not ideal. You can only download ~100K links, and those can be watered down by specific pieces of content or sections (leaving other important sections out in the cold). When you verify by directory, the “links to your site” section will be focused on that specific directory. And that’s huge for sites trying to get a better feel for their link profile, unnatural links, etc. You can see domains linking to your content in a specific directory, your most linked content, and of course, the actual links. And you can download the top ~100K links directly from the report. In addition, if you are trying to get a good feel for your latest links (like if you’re worried about negative SEO), then you can download the most recent links picked up by Google by clicking the “Download latest links” button. 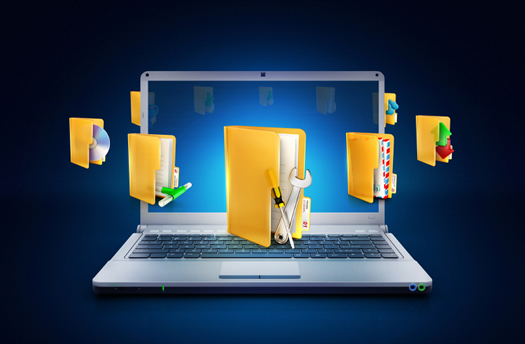 That report will be focused on the directory at hand, versus a site-level download. I’m not saying this is perfect, because some directories will have many more links than 100K. But it’s much stronger than simply downloading 100K links at the site-level. If you are trying to analyze the health of your website, then the Crawl Errors reporting is extremely helpful to review. But again, this can be daunting with larger websites (as all pages are reported at the site-level). But if you verify by directory, the crawl errors reporting will be focused on a specific directory. And that can help you identify problems quickly and efficiently. In addition, you can view crawl errors reporting by Google crawler. 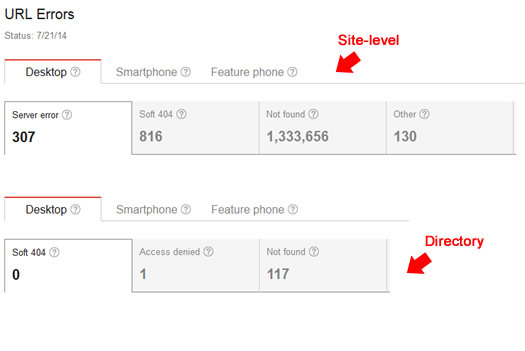 For example, Googlebot versus Googlebot for Smartphones versus Googlebot-mobile for Feature Phones. By drilling into crawl errors by directory, you can start to surface problems at a granular level. This includes 404s, 500s, Soft 404s, and more. Verifying your website in Google Search Console is extremely important on several levels (as documented above). But verifying by directory is also important, as it enables you to analyze specific parts of a website at a granular basis. I hope this post convinced you to set up your core directories in GWT today. To me, it’s critically important to hunt down SEO problems as quickly as possible. The speed at which you can identify, and then rectify, those problems can directly impact your overall SEO health (and traffic to your site). In addition, analyzing granular reporting can help surface potential problems in a much cleaner way than viewing site-wide data. And that’s why verifying subdirectories is a powerful way to proceed (especially for large and complex sites). So don’t hesitate. Go and verify your directories in Google Search Console now. More data awaits. During (and after) my presentation about algorithm updates and penalties, I received a number of outstanding questions from audience members. And later in the day, I led a roundtable that focused on Panda and Penguin. There were also some great conversations during the roundtable from business owners and marketers across industries. It’s always interesting to hear top marketer concerns about major algorithm updates like Panda and Penguin (and especially Panda 4.0 which just rolled out in late May). We had a lively conversation for sure. On the plane flight home, I started thinking about the various questions I was asked, which areas were the most confusing for marketers, and the tips and recommendations I was sharing. And based on that list, I couldn’t help but think a Q&A style blog post could be very helpful for others dealing with Panda, Penguin, and manual actions. So, I decided to write this post covering a number of those questions. I can’t cover everything that I spoke about at SES Atlanta (or this post would be huge), but I can definitely provide some important tips and recommendations based on questions I received during the conference. Let’s jump in. Question: I’ve been hit by Panda 4.0. What should I do with “thin content” or “low-quality” content I find on my website? Is it better to nuke the content (404 or 410), noindex it, or should I redirect that content to other pages on my site? Glenn: I hear this question often from Panda victims, and I know it’s a confusing topic. My recommendation is to remove thin and low-quality content you find on your site. That means 404 or 410 the content or noindex the content via the meta robots tag. When you have a content quality problem on your site, you need to remove that content from Google’s index. In my experience with helping companies recover from Panda, this has been the best path to take. That said, if you find content that’s thin, but you feel you can enhance that content, go for it. If you believe the content could ultimately hold information that people are searching for, then beef it up. Just make sure you do a thorough job of developing the additional content. Don’t replace thin content with slightly thin content. Create killer content instead. If you can’t, then reference my first point about nuking the content. Also, it’s important to ensure you are removing the right content… I’ve seen companies nuke content that was actually fine thinking it was low-quality for some reason. That’s why it’s often helpful to have an objective third party analyze the situation. Business owners and marketers are often too close to their own websites and content to objectively rate it. Question: How come I haven’t seen a Panda recovery yet even though I quickly made changes? I was expecting to recover during the next Panda update once the changes were implemented. Glenn: This is another common question from Panda victims. It’s important to understand that completing the changes alone isn’t enough. Google first needs to recrawl the site and the changes you implemented. Then it needs to better understand user engagement based on the changes. 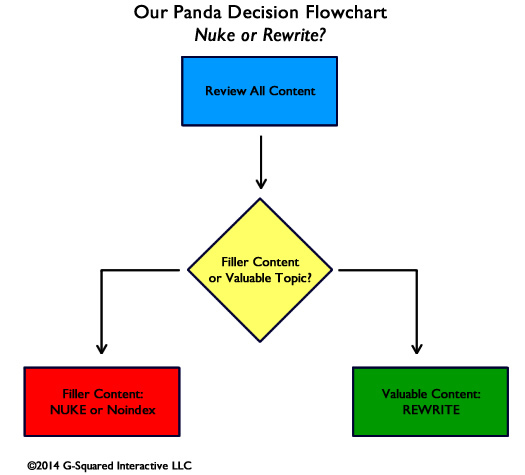 I’ve explained many times in my blog posts about Panda that the algorithm is heavily focused on user engagement. So just making changes on your site doesn’t provide Google enough information. Panda recovery can take time. Just read my case study about 6 months with Panda. That was an extreme situation in my opinion, but it’s a great example of how long it can take to recover. Second, Panda roughly rolls out once per month. You need an update to occur before you can see changes. But that’s not a hard rule. John Mueller from Google clarified the “Panda Tremors” I have been seeing since Panda 4.0, and explained that there isn’t a fixed frequency for algorithm updates like Panda. Instead, Google can continue to tweak the algo to ensure it yields the desired results. Translation: you might see turbulence after a Panda hit (and you may see increases or decreases as the tremors continue). And third, you might see smaller recoveries over time during subsequent updates (versus a full recovery in one shot). I’ve had several clients increase with subsequent Panda updates, but it took 4-5 updates for them to fully recover. So keep in mind that you might not see full recovery in one shot. Question: We know we have an unnatural links problem, and that we were hit by Penguin, but should we tackle the links problem or just build new links to balance out our link profile? Glenn: I’ve seen many companies that were hit by Penguin avoid tackling the root problem, and instead, just try and build new links to balance out their link profile. In my opinion, that’s the wrong way to go. I always recommend aggressively handling the unnatural links situation, since that’s the most direct path to Penguin recovery. And to clarify, you should still be pumping out killer content, using Social to get the word out, etc. I always tell clients impacted by Penguin or Panda to act like they aren’t impacted at all. Keep driving forward with new content, sharing via social media, connecting with users, etc. Fresh links and shares will be a natural side effect, and can help the situation for sure. And then the content they are building while under the Penguin filter could end up ranking well down the line. It’s hard to act like you’re not hit, but that’s exactly what you need to do. You need to be mentally tough. Question: Is it ok to remove content from Google’s index? Will that send strange signals to the engines? Glenn: Nuke it. It’s totally fine to do so, and I’ll go even further and say it could be a great thing to do. I mentioned this several times in my Panda 4.0 findings, but the right indexation is more important than high indexation. In other words, make sure Google has your best content indexed, and not thin, duplicate, or other low-quality content. I had one client drop their indexation by 83% after being impacted by Phantom and Panda, and they are doing extremely well now Google organic-wise. I love the screenshot below. It goes against what many marketers would think. Lower indexation = more Google traffic. That’s awesome. Question: We consume a lot of syndicated content. What’s the best way to handle attribution? Glenn: I saw a number of sites get smoked during Panda 4.0 that were consuming a lot of syndicated content and not handling that properly SEO-wise. The best way to handle attribution for syndicated content is to use the cross domain canonical url tag pointing to the original article. 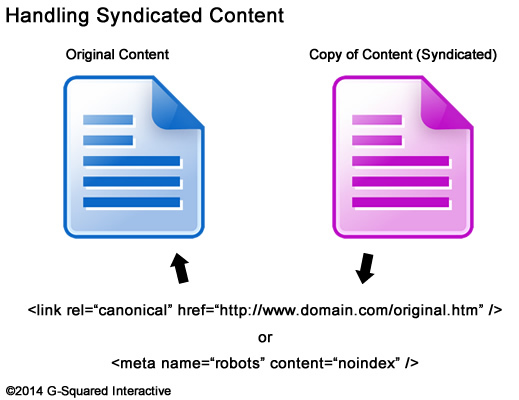 If you can’t do that (or don’t want to do that), then you can keep the content out of Google’s index by noindexing it via the meta robots tag. It’s not your content, so you shouldn’t be taking credit for it. That said, if set up correctly, it’s fine to have syndicated content on your site for users to read. But the proper attribution is important or it can look like you are copying or scraping content. I know that won’t go over well for ad teams looking to rank in organic search (to gain more pageviews), but again, it’s not your content to begin with. Question: Why hasn’t there been a Penguin update since October of 2013? What’s going on? And will there ever be another update? Glenn: It’s been a long time since the last Penguin update (October 4, 2013). Like many others heavily involved with Penguin work, I’m surprised it has taken so long for another update. 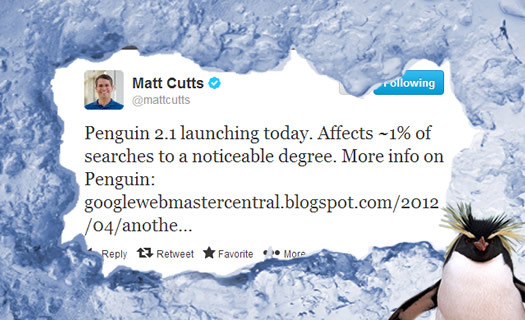 Matt Cutts recently explained at SMX Advanced that they have been heavily working on Panda 4.0, so Penguin has taken a back seat. But he also said that an engineer came up to him recently and said, “it’s probably time for a Penguin update”. That situation is both positive and scary at the same time. On the one hand, at least someone is thinking about Penguin on the webspam team! But on the flip side, they clearly haven’t been focusing on Penguin for some time (while many Penguin victims sit waiting for an update). On that note, there are many webmasters who have rectified their unnatural link problems, disavowed domains, urls, etc., and are eagerly awaiting a Penguin update. It’s not exactly fair that Google has been making those business owners wait so long for Penguin to roll out again. Now, there’s always a possibility that there is a problem with the Penguin algorithm. Let’s face it, there’s no reason it should take so long in between updates. I’m wondering if they are testing Penguin and simply not happy with the results. If that’s the case, then I could see why they would hold off on unleashing a new update (since it could wreak havoc on the web). But that’s just speculation. In my opinion, it’s not cool to let Penguin victims that have worked hard to fix their link problems sit in Penguin limbo. So either Google is seriously punishing them for the long-term, they have put the algo on the back burner while focusing on other algos like Panda, or Penguin is not up to par right now. Remember, if Google isn’t happy with the results, then they don’t have to push it out. And if that’s the case, Penguin victims could sit in limbo for a long time (even longer than the 9 months they have waited so far.) Not good, to say the least. Important Penguin Update: Google’s John Mueller provided more information about the Penguin algorithm on today’s Webmaster Central Office Hours Hangout. John was asked if Penguin would be released again or if it was being retired. And if it was being “retired”, then would Google at least run it one more time to free those webmasters that had cleaned up their link profiles. John explained that Penguin was not being retired. Let me say that again. he said Penguin is not being retired. John explained that it can sometimes take longer than expected to prepare the algorithm and update the necessary data. He also explained that if Google were to retire an algorithm, then they would “remove it completely” (essentially removing any effect from the algorithm that was in place). So we have good news on several fronts. Penguin is still alive and well. And if Google did retire the algo, then the effect from Penguin would be removed. Let’s hope another Penguin update rolls out soon. Question: We’ve been hit by both Panda and Penguin. We don’t have a lot of resources to help with recovery, so which one do we tackle first? Glenn: I’ve helped a number of companies with Pandeguin problems over the years, and it’s definitely a frustrating situation for business owners. When companies don’t have resources to tackle both situations at the same time, then I’ve always been a big fan of tackling the most acute situation first, which is Penguin. Panda is a beast, and has many tentacles. And Penguin is all about unnatural links (based on my analysis of over 400 sites hit by Penguin since April 24, 2012). That’s why I recommend focusing on Penguin first (if you can’t knock out both situations at once). I recommend aggressively tackling unnatural links, remove as many spammy links as you can, and then disavow the remaining ones you can’t get to manually. Then set up a process for monitoring your link profile over time (to ensure new unnatural links don’t pop up). After which, you can tackle the Panda problem. I would begin with a comprehensive Panda audit, identify the potential problems causing the Panda hit, and aggressively attack the situation (the bamboo). Move quickly and aggressively. 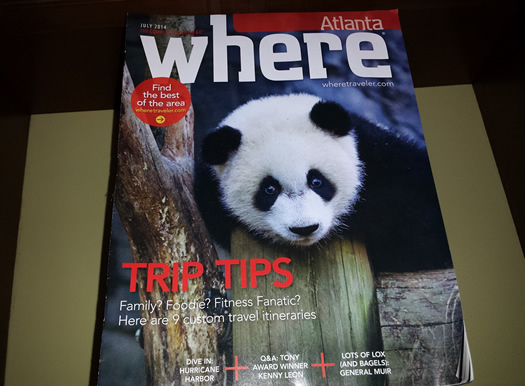 Get out of the grey area of Panda (it’s a maddening place to live). Question: Is linkbuilding dead? Should I even focus on building links anymore and how do I go about doing that naturally? Glenn: Links are not dead! The right links are even more important now. I know there’s a lot of fear and confusion about linkbuilding since Google has waged war on unnatural links, but to me, that makes high quality links even more powerful. Duane Forrester wrote a post recently on the Bing Webmaster Blog where he explained if you know where a link is coming from prior to gaining that link, then you are already going down the wrong path. That was a bold statement, but I tend to agree with him. I had several conversations about this topic at SES Atlanta. To me, if you build killer content that helps your target audience, that addresses pain points, and teaches users how to accomplish something, then there’s a good chance you’ll build links. 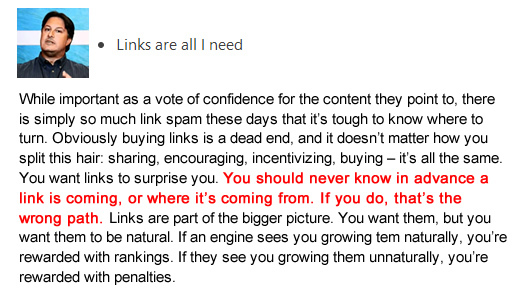 It’s not the quantity of links either… it’s the quality. I’d rather see a client build one solid link from a site in their niche versus 1000 junky links. The junky links are Penguin food, while the solid link is gold. Question: I was hit by Panda, but my core competitors have the same problems we do. We followed what they were implementing, and we got hit. Why didn’t they get hit? And moving forward, should we follow others that are doing well SEO-wise? Glenn: I can’t tell you how many times companies contact me and start showing me competitors that are doing risky things SEO-wise, yet those sites are doing well in Google. They explain that they tried to reproduce what those competitors were doing, and then they ended up getting hit by Panda. That situation reinforces what I’ve told clients for a long time. Competitive analyses can be extremely beneficial for gathering the right intelligence about your competitors, but don’t blindly follow what they are doing. That’s a dangerous road to travel. Instead, companies should map out a strong SEO strategy based on their own research, expertise, target audience, etc. Ensure you are doing the right things SEO-wise for long-term success. Following other companies blindly is a dangerous thing to do. They could very easily be headed towards SEO disaster and you’ll be following right along. For example, I had a client always bring up one specific company to me that was pushing the limits SEO-wise (using dark grey hat tactics). Well, they finally got hit during a Panda update in early 2014 and lost a substantial amount of traffic. I sent screenshots to my client which reinforced my philosophy. My client was lucky they didn’t follow that company’s tactics… They would have jumped right off the SEO cliff with them. The screenshot below shows an example of a typical surge in Google before a crash. Question: We’ve been working hard on a manual action for unnatural links, but right before filing reconsideration, it expired. What should we do? Glenn: I’ve seen this happen with several clients I was helping with manual actions. It’s a weird situation for sure. You are working on fixing problems based on receiving a manual action, and right before you file a reconsideration request, the manual action disappears from Google Webmaster Tools. When that happens, is the site ok, do you still need to file a reconsideration request with Google, should you wait, or should you continue working on the manual action? It’s important to know that manual actions do expire. You can read that article by Marie Haynes for more information about expiring manual actions. Google has confirmed this to be the case (although the length of each manual action is variable). But those manual actions can return if you haven’t tackled the problem thoroughly… So don’t’ think you’re in the clear so fast. That said, if you have tackled the problem thoroughly, then you are probably ok. For example, I was helping a company with a manual action for unnatural links and we had completed the process of removing and disavowing almost all of their unnatural links. We had already written the reconsideration request and were simply waiting on a few webmasters that were supposed to take down more links before filing with Google. As we were waiting (just a few extra days), the manual action disappeared from Google Webmaster Tools. Since we did a full link cleanup, we simply drove forward with other initiatives. That was months ago and the site is doing great SEO-wise (surging over the past few months). Just make sure you thoroughly tackle the problem at hand. You don’t want a special surprise in your manual action viewer one day… which would be the return of the penalty. Avoid that situation by thoroughly fixing the problems causing the penalty. As you can see, there were some outstanding and complex questions asked at SES Atlanta. It confirms what I see every day… that business owners and webmasters are extremely confused with algorithm updates like Panda and Penguin and how to tackle penalties. And when you combine algo updates with manual actions, you have the perfect storm of SEO confusion. I hope the Q&A above helped answer some questions you might have about Panda, Penguin, and manual actions. And again, there were several more questions asked that I can’t fit into this post! Maybe I’ll tackle those questions in another post. So stay tuned, subscribe to my feed, and keep an eye on my Search Engine Watch column. And be prepared, I felt a slight chill in the air this past weekend. The next Penguin update could (and should) be arriving soon. Only Google knows, but I hope they unleash the algo update soon. Like I said in my post, there are many webmasters eagerly awaiting another Penguin rollout. Let’s hope it’s sooner than later.